With the immanent arrival of a new Ghostbusters movie, Sony has announced a new animated series to go with it. Well, sort of. Variety reports the studio has announced it will release Ghostbusters: Ecto Force, a series about a “new generation” of Ghostbusters set in the far off year of 2050. 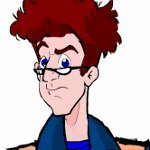 It could be set in either film series or even follow up Extreme Ghostbusters, though the latter is unlikely. The program, however, will likely debut in 2018 with original Ghostbusters director Ivan Reitman “shepherding” the project. That's pretty much all we know at present. Though would it surprise anyone that some of the usual suspects on GBFans are already complaining about it? that is very cool news! I hate to bump up a nearly 2 year old thread but what is the current status of Ecto Force, is it dead or is it still being developed for a future date? I don't know if it's officially dead, but two years without news is not a good sign. It does seem like Sony and Ghostcorps are moving on to other things. I noticed someone asked about the status of Ecto Force at your Ecto Zone forum, Fritz, and the answer is it's shelved. Here's the info from Ivan Reitman circa summer 2017 if you want to share it on your forum. Ivan Reitman's full quote was, "Yeah, we put it on hold. We got a lot of inquiries and interest from different, uh, television networks to put it on and then at the last second, we decided to hold on the deal and really focus on the new Ghostbusters animated feature and sort of have that kick off the world and I think it's because I knew the animated feature was going to bring--going to at least go a long way to bring back the classical story we originally started and, uh, I wanted that to come first." So yeah, it's basically dead at this moment.